Philips recently launched the Sonicare FlexCare Platinum, with an advanced InterCare brush head that features extra-long bristles to reach between teeth, additional specialized bristles for gum care, and a unique Pressure Sensor to help reduce aggressive brushing. Two studies tested the new Philips Sonicare FlexCare Platinum against both manual brushing and the Oral-B Professional Care 5000. The results? The FlexCare Platinum reduced significantly more plaque than either a manual brush or the Oal-B. 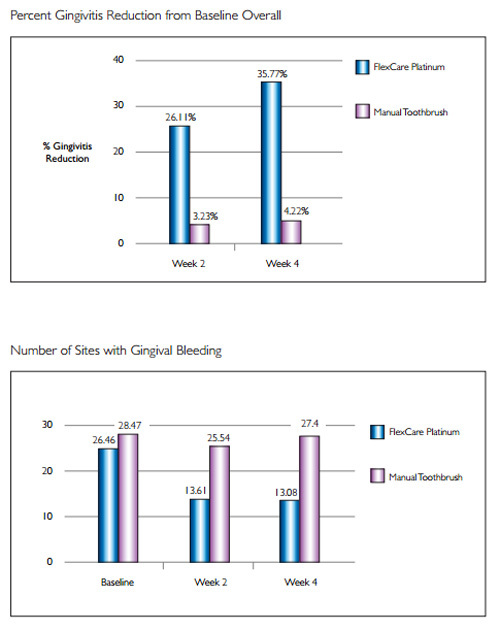 And the FlexCare Platinum was also shown to significantly reduce gingivitis and bleeding gums, in as little as two weeks. In the comparison of the Sonicare Flexcare Platinum versus manual brushing, 141 adults who were manual toothbrush users were randomly assigned to use either the FlexCare Platinum or an ADA-approved manual toothbrush for a four-week period. 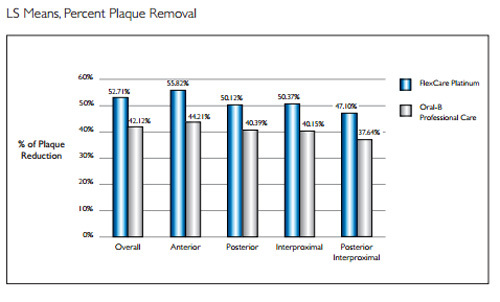 The results showed that the Flexcare Platinum removed 7x more plaque than the manual toothbrush. 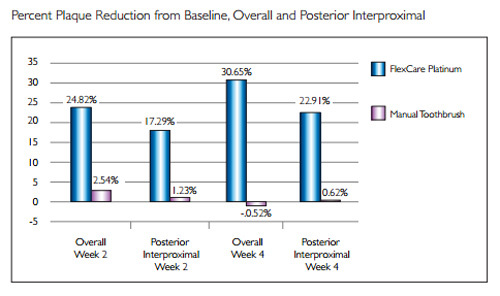 The Philips Sonicare showed similar advantages for those with gingivitis or bleeding gums, reducing gingivitis by 35% (versus only 4% for manual brushing) and cutting the number of bleeding gum sites in half. In the second randomized clinical study, the FlexCare Platinum removed significantly more plaque than the Oral-B Professional Care 5000 over the entire mouth and in those hard-to-reach back areas. The new Philips Sonicare FlexCare Platinum is available now through Amazon and select retailers for $199.99 with a built-in UV sanitizer and $179.99 without.